Hulchi Belluni is a rising name in jewelry design and has won raves for its creative edge and modern flair. This beautifully crafted and uniquely designed Hulchi Belluni woven Diamond Ring is fashioned in 18K Yellow Gold with White Gold accents and features 7 glittering round diamonds, .21TDW. See this fabulous diamond band and the Hulchi Belluni Collection at Tara Fine Jewelry Company, Atlanta's favorite destination for designer jewelry and fine Swiss watches. You'll be amazed by Tara's incredible selection of diamond engagement rings, pendants, earrings and bracelets as well as our wide array of luxury Swiss timepieces by Rolex, Tag Heuer, Breitling and Omega. 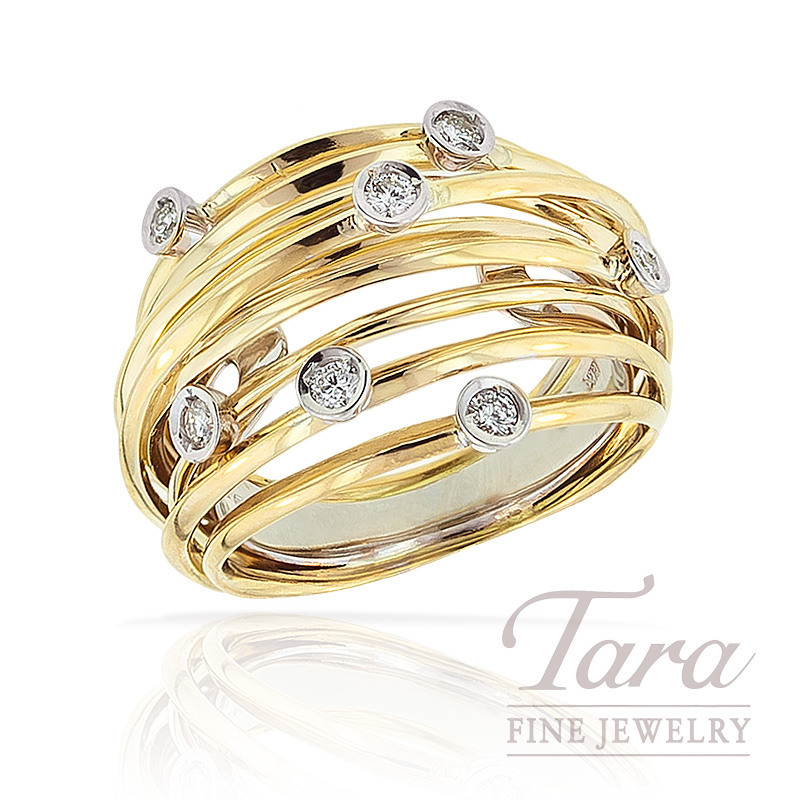 Don't just dream about a beautiful new ring, come to Tara Fine Jewelry Company and find the ring of your dreams.